AT&T and Cyndi Lauper are teaming up with the True Colors Fund this holiday season to help put an end to LGBT youth homelessness. Get more information, and find out the different ways that you can help the cause, below! As noted by True Colors Fund, 40% of America's 1.6 million homeless youth are LGBT. As LGBT youth represent an estimated 7% of the total youth population, the numbers of affected young people are disproportionately high. Since November is National Homeless Youth Awareness Month, AT&T is launching the Live Proud Holiday Campaign from Nov. 1 through Dec. 31. 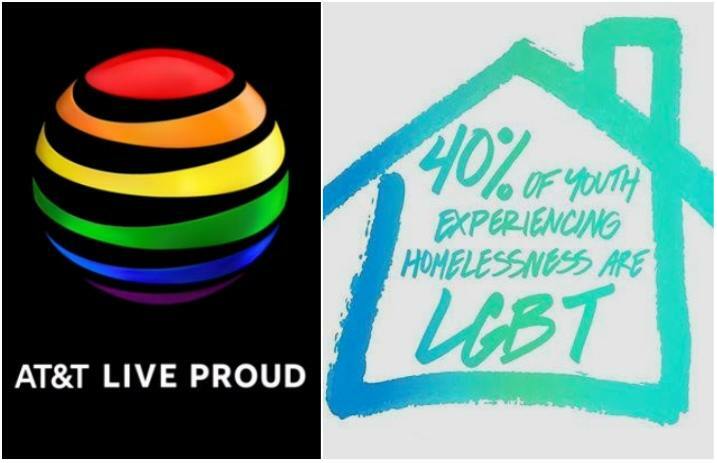 There are two different ways that you can participate to help raise awareness of the LGBT youth homelessness crisis. First, you can share the below Facebook campaign video starring singer and longtime LGBT advocate Cyndi Lauper. Second, you can enter the AT&T Live Proud Holiday Sweepstakes. To enter the sweepstakes, simply tag three of your friends on AT&T'S Instagram post #ProudHolidaySweeps (see below). You can also participate at att.com/liveproud. The sweepstakes winner will receive a trip to New York City with three of their friends to attend the 7th Annual True Colors Fund Home For The Holidays benefit concert on Dec. 9. They'll also meet Cyndi Lauper, the concert's host! The sweepstakes entry period ends Nov. 26. Check out the video here, and see the Instagram post below. Help raise awareness of LGBT youth homelessness. Tag 3 friends in this post. You’ll be automatically entered into the #ProudHolidaySweeps for a chance to win a trip for 4 to @TrueColorsFund #Home4Holidays benefit concert and an AT&T prize package.